I've washed and polished the car a few times since I bought it and was pretty happy with the results but decided to buy a clay bar and see if it made any difference. Despite being pretty sceptical, I can confirm that it does indeed make a considerable difference to the level of polish on the car. 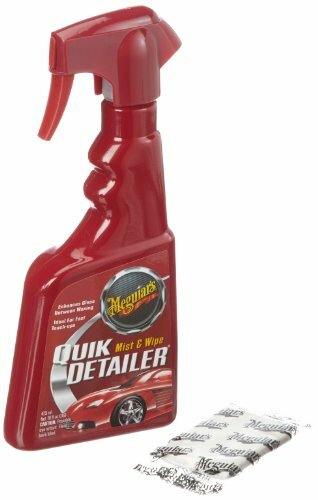 I bought a Meguiars Quick Clay Starter Kit as shown here. I bought mine at Halfords but you can get it a bit cheaper here from Amazon. It is really easy to use and surprisingly quick to cover even a large car like the 5 series estate. Just wash the car as you normally would and then rinse and dry. Knead the clay until soft and form a pad about the size of a bar of soap. Then spray a little bit of the detailer liquid on the paintwork and glide the clay gently over the surface. The clay picks up any contamination particles from the paintwork and traps them in the clay. The result is a noticeably smoother finish which you can buff to a high gloss. Every so often you fold the clay in on itself an reform into a pad again. One word of warning though - if you drop the clay on the ground, don't continue to use it as it will be contaminated with grit which will damage your paint. I've not done this yet but have come close a couple of times. Store the clay in a freezer bag between uses.